The findings in this report continue to be relevant today. 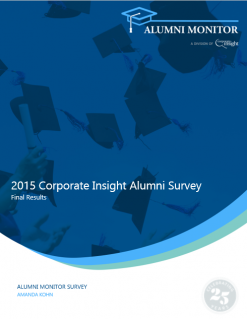 It examines the relationship between graduates and their alma mater. It examines the relationship of other causes that compete for the donation dollar. Copyright 2019 © Corporate Insight, Inc.